Upgrading your ERP is an expensive and scary process, there’s no getting around that. We, therefore, understand that many businesses take an attitude of “if it’s not broke then don’t fix it”. If their system is still serving its purpose, they see no point in upgrading to a newer solution. However, leaving your ERP to stagnate for 5 or more years can end up with it becoming less of a business solution and more of a business problem. It might not be seen from the surface, but using obsolete technology can be a serious productivity and efficiency hindrance for your organisation. This blog post will explore a few reasons why you should think about upgrading your legacy ERP to a new solution like Microsoft Dynamics 365 Business Central. Microsoft Dynamics 365 Business Central offers many modern and intelligent features that can help your business succeed and work at its best. 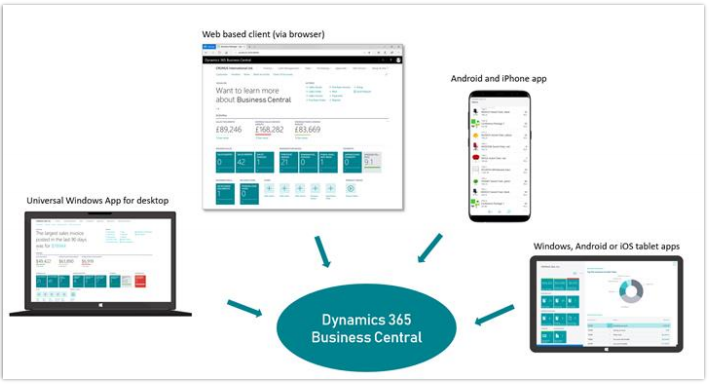 Technology is improving rapidly and with Microsoft’s significant investments into Dynamics 365 Business Central, your business can benefit from end-to-end intelligent functionality to streamline processes and connect your business departments, helping you stay ahead. Business Central provides you with a 360-degree view of your business, helping inform your decision-making with actionable insights. You may be used to doing things a certain way with your legacy ERP solution, but there comes a point where no amount of internal overhaul can beat the innovative technology Microsoft has to offer. Upgrading to the newest package will be an advantage in terms of the power and functionality you’ll be able to harness. Even if your system is working the same as the day you first went live, technology has moved on since then. Just as a car from 20 years ago won’t run at the same speed as cars produced today, your system will start to feel slow and outdated when compared to other applications. This not only wastes valuable business time but is also really frustrating for your employees, making them less likely to use the system effectively. Using new systems means you can benefit from faster navigation, better functionality and use of automated workflows to minimise your effort whilst also increasing efficiency. Upgrading your ERP brings down support costs. If things go wrong when using your ERP which is out of support, this can end up being very costly for your business. Not only in terms of loss of productivity and time, but as your solution becomes more outdated, it’s increasingly difficult and expensive for Microsoft partners to provide support. Their resources will be increasingly focused on the newest release and fewer consultants will have sufficient experience to work on your version. Additionally, any new tools your vendor uses will be geared towards newer versions of NAV, making servicing your system more expensive than that of other clients. Microsoft applications integrate together to create a comprehensive business solution. Many businesses use a variety of applications across their different departments which lack integration with one another. However, if using Microsoft Dynamics 365, you can pick and choose the modules you need to create a specialised solution for your business. On top of this, you can integrate Business Central with a range of other Microsoft applications (Power BI, Office 365, SharePoint) to create a comprehensive solution which links all your systems together—extending the standard functionality and enabling greater business performance. Business Central also supports the use of extensions, which can be easily installed from AppSource to add extra capabilities. Using extensions is much easier than traditional ERP customisation, which would have to be developed within the software’s code. Other applications used by your business that are designed to integrate with ERP are usually made to work with the latest version, not one that is years behind the current release. 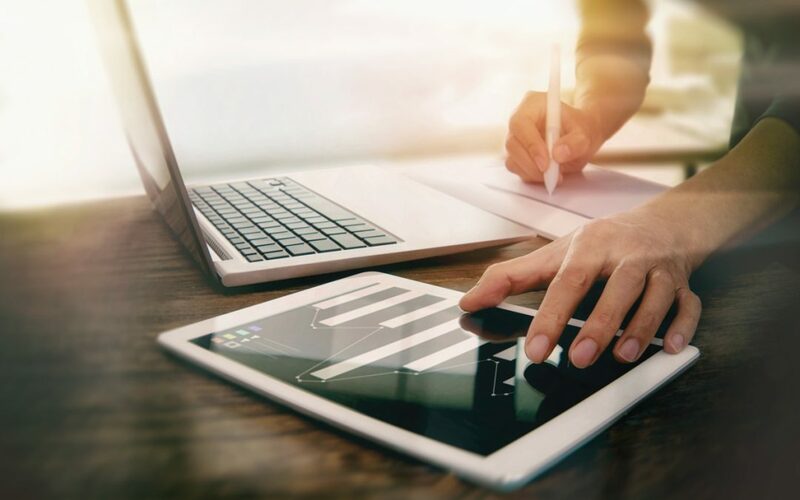 This leaves you with a dilemma: you either don’t integrate and miss out on the functionality which could benefit your business significantly or, you bite the bullet and upgrade your ERP. With modern ERP, working remotely is easier than ever. As remote working becomes more popular, the need to access systems from outside of the workplace increases with it. New ERP systems can be accessed from mobile or tablet, wherever you are. This allows for you to check your data and understand what’s going on regardless of where you are. As your solution gets older, the risk increases further. As your ERP becomes older and older, it is becoming more susceptible to being hacked as there are no patches and updates being created to prevent it. This puts all your sensitive businesses data at higher risk. There’s also more chance of the system crashing more, meaning people can’t work and leaves your IT team spending a lot of time and money just to maintain the system. Older systems are also not going to be compliant with newly introduced security and compliance standards, for example, GDPR and Making Tax Digital. Businesses can face significant penalties for not complying with these standards. Luckily however, Microsoft Dynamics 365 Business Central is compliant for tall the newest legislations. Knowing what can happen if you don’t upgrade your legacy ERP should be scarier than the thought of upgrading to a new solution. It makes sense to allow your business to move forward and benefit from modern ERP rather than being hindered by an old one. We’ve extended our Fixed Price Upgrade offer to include Microsoft Dynamics 365 Business Central, meaning you could see substantial savings when enjoying a risk-free upgrade with Mercurius—customers have previously saved over £25,000 on their upgrade bills! Please get in touch today if you would like to learn more about Business Central and see how your business could have significant improvements from an upgrade.